Beautiful Onyx tumbled stones. Price is for 1 piece. The noble Onyx is a most ancient stone, known and utilized by even the earliest civilizations for its powerful energy. It was highly prized for use in ceremonies and burials, scrying and magical work, and as amulets on swords, shields and armor to protect and strengthen warriors in battle. 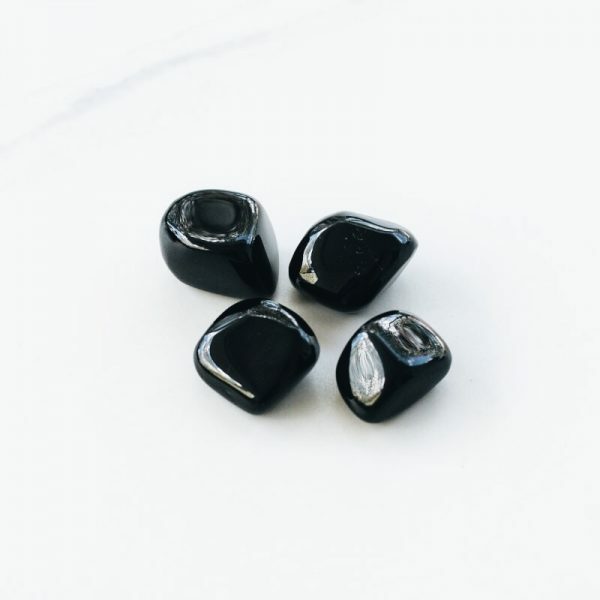 Onyx grounds and stabilizes the emotional body, bringing strength in difficult or confusing circumstances and during times of tremendous mental or physical stress. It calms nervousness, anxiety and fear, soothes tempers and restores rational thinking and self-control.